He says the timing of the bridge opening is cynical. 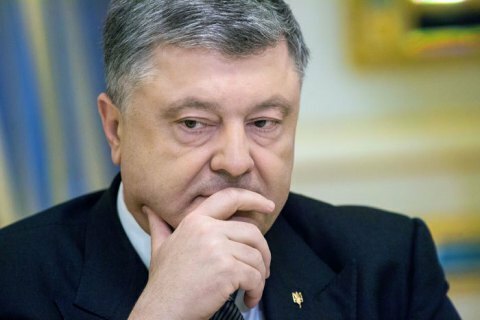 President Petro Poroshenko has commented on the opening of a part of the Kerch bridge in occupied Crimea, having call it yet another proof of the Kremlin's disregard for international law. "It is especially cynical that the opening took place ahead of the next anniversary of the Crimean Tatar deportation by the Stalin regime," he said on Facebook. He noted that despite Moscow's attempts to "legitimize" the temporary occupation of the Crimean peninsula, resolutions of a number of international judicial bodies confirm that the burden of the committed international crime for Russia will only increase. "Ukraine will further continue to defend its positions. Let me remind you that on my instruction, a motion to defend Ukraine's sovereign interests, including due to the illegitimate construction of the Kerch bridge, was filed with the International Tribunal for the Law of the See," he said. "I'm confident the aggressor will not succeed, it will bear the brunt in full. And the occupiers will certainly need the bridge when they will be in hurry to leave our Crimea," the president said. Ukraine is carrying out an environmental test to check the consequences of the Kerch bridge construction to initiate an international legal action. It was reported in August that Ukraine was preparing a lawsuit against Russia over port losses over the construction of the bridge.